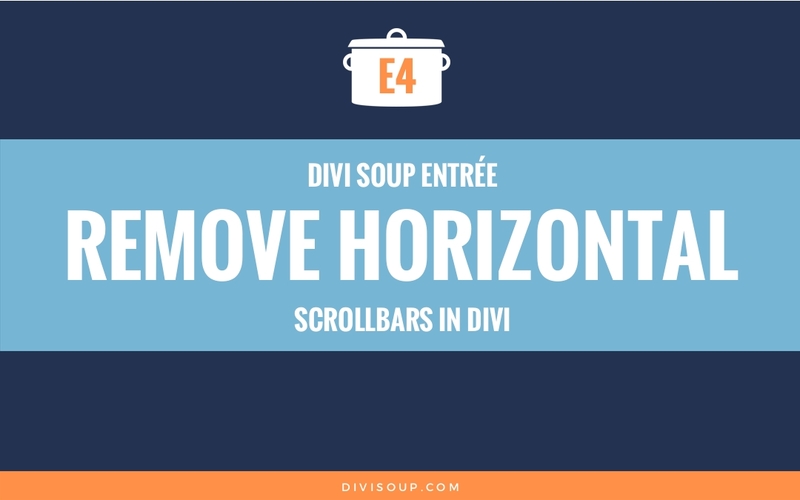 I write a lot of Divi tutorials and I get the ideas for these tutorials mainly from the Divi Facebook community. By reading posts I am able to get a feel for the things people most often need help with. Sometimes though, questions are not so much ‘how do I…?’ rather than ‘What should I…?’. 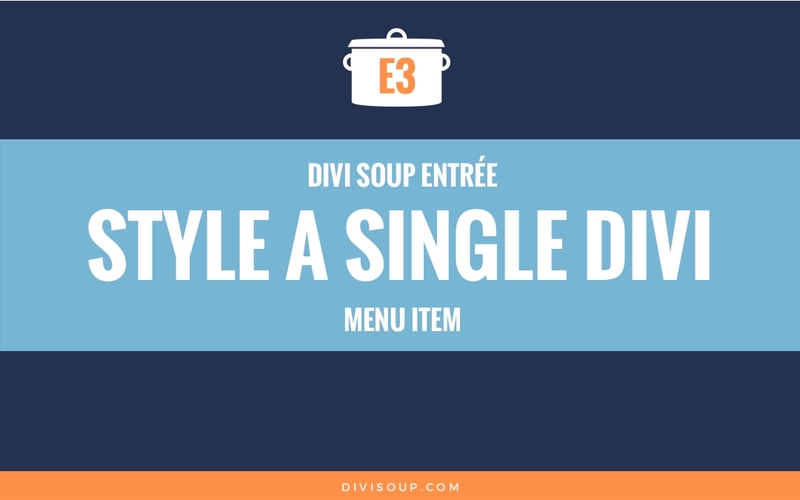 So I came up with a new post format for Divi Soup. ‘Entrées’ will be a series of posts dedicated to plugins, tools, resources and tips to help you with your design business, site building, marketing, creativity, inspiration and anything else related to working in this wonderful creative industry. 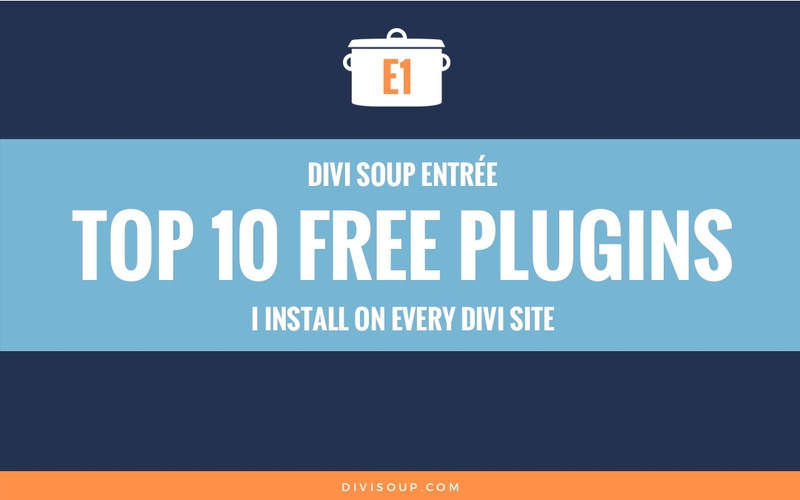 So without further ado, here are the Top 10 free plugins I install on every Divi site I build. I have a basic child theme set up that automatically installs these plugins for me when I upload it so I don’t have to do it one by one on each site, but I will go through the list in what I think is a logical order based on how I set up my sites. I am sure you have experienced it, the dreaded ‘brute force’ attacks where you get email notifications almost every other second because a bot is trying to hack into your site. As you probably know, the default URL for the WordPress admin login is www.yoursite.com/wp-admin. The problem is, everyone else knows this too, making it easier for hackers to get into the backend of your site. 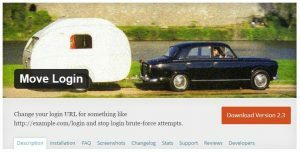 SF Move Login is a very simple little plugin that lets you quickly change the /wp-admin part of the URL to whatever you want, making it much more difficult for hackers to get to your WordPress backend login screen. It also has some other handy little functions, you can set your own URLs for the logout, register, lost password and password reset pages too as well as redirect the user or display an error message when someone tries to access those default page URLs. Technically I don’t install this one because it comes pre-installed when I use the ‘one-click WordPress Install’ option in my hosting cPanel but it is one of the first things I set up. Clef allows for ‘passwordless’ login by using (for want of a better description) a moving barcode on your mobile phone. Set up is simple and just takes a few minutes and once you have your account activated, you can install Clef on all your sites to login in quickly and stop the issue of forgotten passwords. Within the plugin settings you are able to deactivate the use of passwords altogether or have Clef active for certain user types only. Clef claims that it increases sign up conversion by 30% and makes visitors 45% more likely to return. I don’t know how true this is as I only activate it for Admins but I am sure they have some stats to back it up . There is a paid version which offers more functionality but I have never needed it so far. 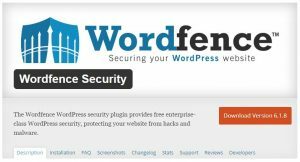 In my opinion Wordfence is the best security plugin there is. There is a paid version but the free version has some pretty awesome features which should be suitable for most standard sized websites. Wordfence is one of the plugins that will send you those brute force attack emails I mentioned earlier, its purpose is to protect your site from hackers but it has some other great options too. From live traffic analysis to site-wide security scanning and IP blocking, there really are a wealth of useful features, my favourite being the Falcon Engine which you can activate under the ‘Performance Setup’ option. Falcon Engine claims to give you a 30 to 50 times site speed increase and to be honest with this activated and a free CDN from Cloudflare, I rarely have the need to use any other caching plugins. There are few things more important in web design than having an up to date backup of your website. 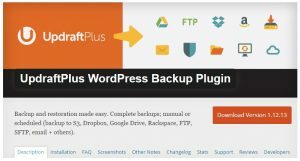 UpdraftPlus is a plugin for doing just that. It has some great standard features such as backing up to remote locations such as DropBox, Amazon S3 and Google Drive, scheduled backups and email reporting. If you want some more advanced features they do have a paid version which I use as the free version doesn’t support multisite networks. The paid version also gives you a 1GB UpdraftPlus Vault for remote backup storage, more remote storage options such as Microsoft OneDrive and Google Cloud, and the ability to migrate/clone websites as well as many other options. The free version is perfectly fine in most use cases but if you have the budget I would highly recommend investing in the premium version. You can view a comparison between free and premium here. I am sure I don’t have to tell you how important it is to analyse your traffic. Google Analytics is a fantastic system but for non-techie clients it can sometimes be a little overwhelming with all the options they have available. 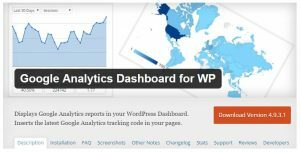 Google Analytics Dashboard for WP is a great little plugin that places an overview of your sites’ data right in the WordPress dashboard. You can view traffic information for the current day, the previous day, previous 7, 14, 30 and 90 days as well as the past 1 and 3 years. You can even view traffic in real time just like you can in Google Analytics. You can then break that information down even further by sessions, users, organic, page views, bounce rate, location, pages, referrers, searches, traffic and technology. I particularly like to look at my most viewed pages, it quickly tells me what content my visitors like the most so I can write more similar content, and after the Homepage and Kitchen, my most popular content by far is my Four Linkable Image Hover Effects Recipe. If you haven’t experienced the dreaded scenario of WordPress stripping out your text formatting then you are one of the lucky ones. But chances are you will at some point run into this very annoying issue and spend fruitless hours reformatting all of your text just for WordPress to strip it again. 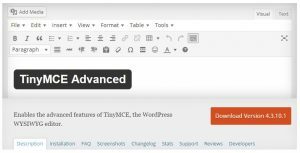 TinyMCE Advanced is a plugin that helps with this issue as well as adding some very handy little features to your WYSIWYG editor. After installing, be sure to go into the settings and tick the box to ‘Keep paragraph tags’. Then hop on over and read my post Help! My paragraphs and line breaks keep disappearing from the-divi text module for some more tips on fixing the stripping issue. Duplicate Post is a very handy little plugin that adds a ‘Clone’ option to the menu you see under the title of a post when you hover over it in the backend of your site. But it doesn’t just work with posts, it works with pages, products and custom post types too. After installing navigate to your WP settings menu where you will see ‘Duplicate Post’. Here you can set exactly what you want carried over when you clone an item, you can determine whether or not to copy the date, status, excerpt, attachments, children and taxonomies, you can even enable it only for certain user types. This one may be a little controversial as it hasn’t been updated in 2 years, however it has one function and one function only, to make your ‘Publish’ widget stick to the top of the page on scroll and it performs this function perfectly. If you create a lot of long-form content then this is a huge time saver, removing the need to scroll back to the top of the page to save drafts, preview or publish your posts. If you have multiple editors and some find it annoying, it can be turned off under the users’ profile page. I would be lost without this little plugin but do install at your own risk, as I said it hasn’t been updated in 2 years but for me the functionality outweighs any potential security worries. 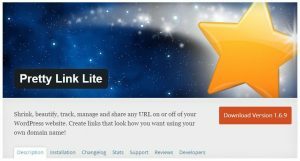 Pretty Link Lite is a great plugin for anyone but extra useful for bloggers and affiliate marketers. It allows you to take any URL whether it be internal or external, and ‘change’ it to something more friendly. 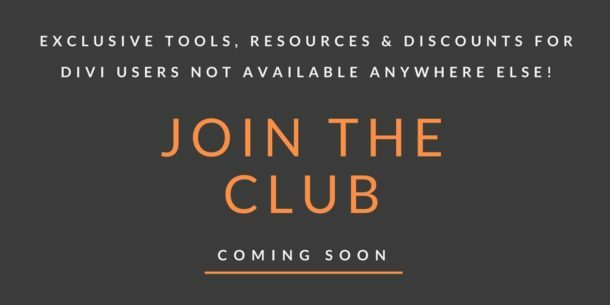 So for example, I am an affiliate for Elegant Themes, I can never remember my affiliate URL as it isn’t in a user friendly format, so I set up a Pretty Link of https://divisoup.com/et , and whenever someone clicks on that link they are redirected to the Elegant Themes website through my affiliate referral link. It is much easier for me to remember so I can quickly insert it into posts and give it to people who ask for it (which does happen!). You can set up your Pretty Links to be either temporary (307) or permanent (301) redirects so it can also be used when moving content or whole sites. You can also create custom groups so you can categorise your links and what is very useful is the ability to track hits to your Pretty Links and set them as follow or no follow. I have the premium version available here (yep, that’s a Pretty Link ) which enables you to auto-tweet links, create links automatically and replace keywords throughout your blog with Pretty Links (very useful!) as well as some other great features. For someone with a really bad memory like me, I highly recommend Pretty Link Lite or Pro. For number 10 I was going to include Yoast which I install on every site unless the client has a preference for something else, however most of us have a love/hate relationship with SEO plugins so instead I decided to include something else I have started using recently. Full Screen Page Builder is a free plugin by our very own PHP guru Jonathan Bossenger. The single purpose of this plugin is to make the Divi Builder editor fullscreen, using as much of your available screen as possible rather than the small modal window it opens by default. This is a feature that has been available in Divi Booster for some time but Jonathan’s plugin is a great alternative if you don’t want all the other bells and whistles Booster provides or if you are looking for a free solution. Full Screen Page Builder is available on the GitHub Repo here and you can read Jonathan’s post on the plugin here where he also explains how to add the code to your functions.php file. 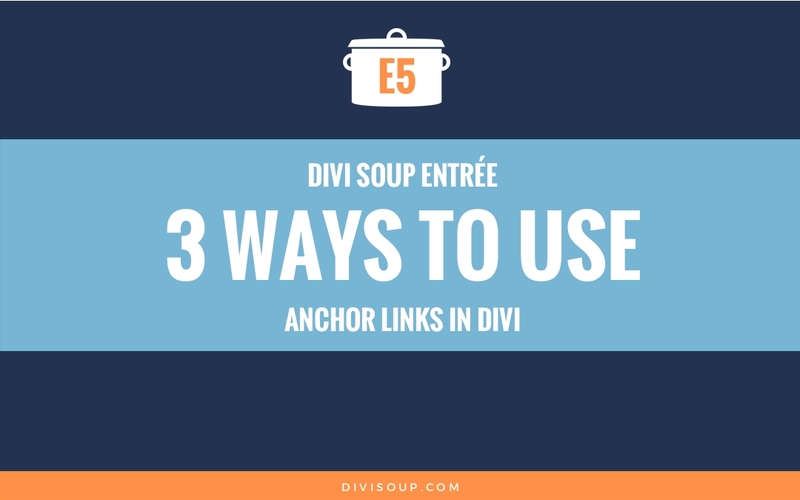 If you found this helpful please subscribe to my newsletter for all my latest Divi related content. Awesome i was exactly looking for the same post, Thank You. You mentioned a “one-click”… is there a way to get all this website plug in and theme stuff done with one click? Is this a service you offer? I’m about to undo everything I’ve done so far just so I can install the updated main menu style. Starting over I guess…. and would love to speed things up. I’m on Godaddy/Windows. Thank you! quick question- is this post still relevant or is it in need of updating? I don’t know who’s plugin recommendations to trust. I’ve had good luck on Divi Soup so I would prefer to follow your plugin advice if it’s still good. 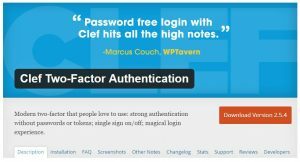 As a user of Clef, I have to inform you that Clef Two Factor Authentication will stop working on June 6, 2017 — Could you recommend another form of two-factor authentication ? Regarding plugin 8 – Floating Publish Button – it is a life saver. I found it while I was testing Floating Publish Button and I think it is very sleek. This floating publish button is so cool! Hi Michelle. I install Broken Link Checker, Monarch, Coming Soon Page & Maintenance Mode by SeedProd, Duplicator, SVG Support, Use any font, and just recently the Divi 100 Login Page. Divi 100 login plugin url please ! Hey, Michelle, has your opinion on Wordfence changed, or have you changed your process, now that Wordfence is dropping Falcon? I don’t even know what to do with that information yet…. everyone seems to be jumping ship. Merci beaucoup, que d’excellentes informations ! Thank you! I’m so glad I found your website! Lots of good info. These are great plugins – I use many already but was unaware of several. Thanks for the time you put into this. I think anyone that has ever written a blog post realizes the time and effort it takes – even for a basic post. So thank you. As a newbie to Divi, finding your site has been amazing….so much content, tips and tricks…you’ve become my go to cookbook..even pushing watching the olympics to the back burner as I devour every recipe tonight so thank you so much and greetings from down under!! Anyone else have this issue? Chrome, Mac. It gives you live online tracking of your site, instagram, twitter, facebook, almost seems a little more detailed than google analytics, but wouldn’t stop using it either. if you ever consider doing a membership for all the work you do here, count me in! Thanks for the link Mark I will take a look at that one. I did consider Membership actually, it is still in my mind but busy with other things right now. Good to know its something you would be up for though! The auto install thing is a script I have configured but I do plan to write a tute on this eventually, just really busy right now! You are the greatest Michelle, thank you for this terrific resource. Thanks so much Michelle I am new to WordPress and Divi and this is just what I was looking for . Do you do any optimizing of images using plugins or do you do it with photoshop etc. ? And thank you from me too. Really interesting. I wonder if you can also share that little child that does the dirty job for you. Really useful & interesting! Can’t you share your child theme to automatically install them? Michelle, this is great and what a fab website this is! I’ve just recently switched to using Divi, so I’m trying to learn as much as I can about using it to improve my website. Thanks so much Leslie, two really great plugins there, thanks for mentioning them! “Full Screen Page Builder” plugin was unknown to me. Thanks Michelle. Your top 10 covered quite a few of my “must have” plugins – keep up the good work! I found two new ones (Clef and Full Screen Page Builder), but what was also nice was that I’d already installed some of the others! Since we can request recipes, I might just do that too! Please do Bill, I love to hear about the solutions designers need! Hi Michelle, would love you to do an article on th SEO Framework plugin in comparison to All in One SEO and Yoast. People are talking about SEO Framework being a great plugin but as yet there is no real world results being shared. Great idea Alan, please put in a recipe request and I will do my best to get to it. Thank you. I am new to Divi, and to web design for that matter, and this information is very helpful. Fantastic list, Michelle, thank you. WOW.. Michelle, great review.. and thanks for such a great website. You are amazing! Hi Michelle – Thanks for sharing the Divi Full-Screen Page Builder plugin. One of my only complaints about Divi is the tiny editing screen. This looks perfect! I notice the plugin is in GitHub… have you considered a little Tutorial about how to choose plugins from GitHub & how to download/install them? I found that was a little intimidating when I started out. Ooh great idea Lindsay, can you submit it as a recipe request please so other can vote on it? I. Love. This. Plugin. Thanks.